The project ‘El Cos Respira’ (The Body Breathes) was born in 2015 with the idea of offering a process of personal transformation and empowering social cohesion that improves the quality of life, social integration and personal development of the women of La Marina. 23 women of all ages took part in the first edition. During 4 months, they participated in a workshop at Graner and prepared a final performance: Inner Landscape. 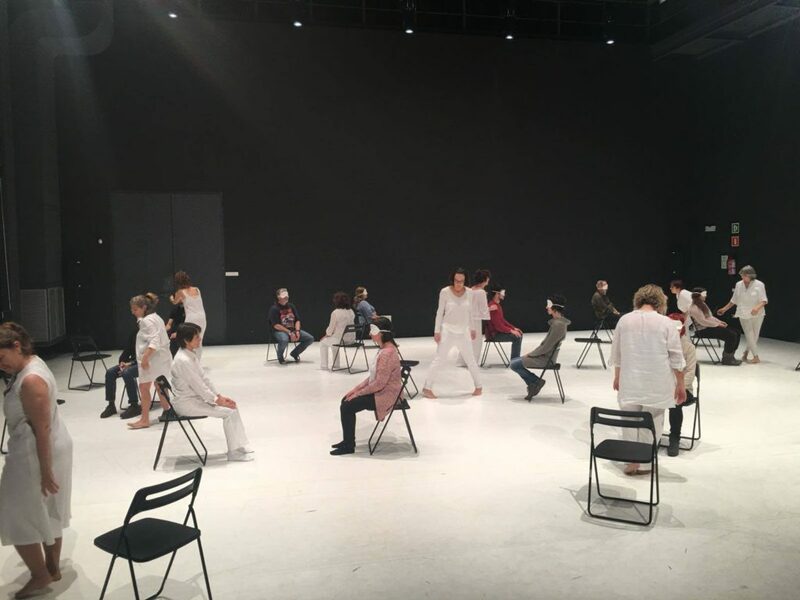 The second edition continued the project: 10 meetings were organised along the year and a performance (Angles) was created and presented at MNAC. In January 2018 the process of these two years of work will be presented as a performance in three shows open to 90 people (30 per session). With ‘El Cos Respira’, the 25 participants of the 2017, women of La Marina took part and experienced a space and creative time that encourages personal creativity and experience. Performative work is an important part of the process: performance is a personal experience that can restore the power of transformation and emotions, a tool for personal development, a deep state of empowerment that works from the body awareness.